Last week, I attended an event at the Trifecta Gallery downtown inside the Arts Factory. 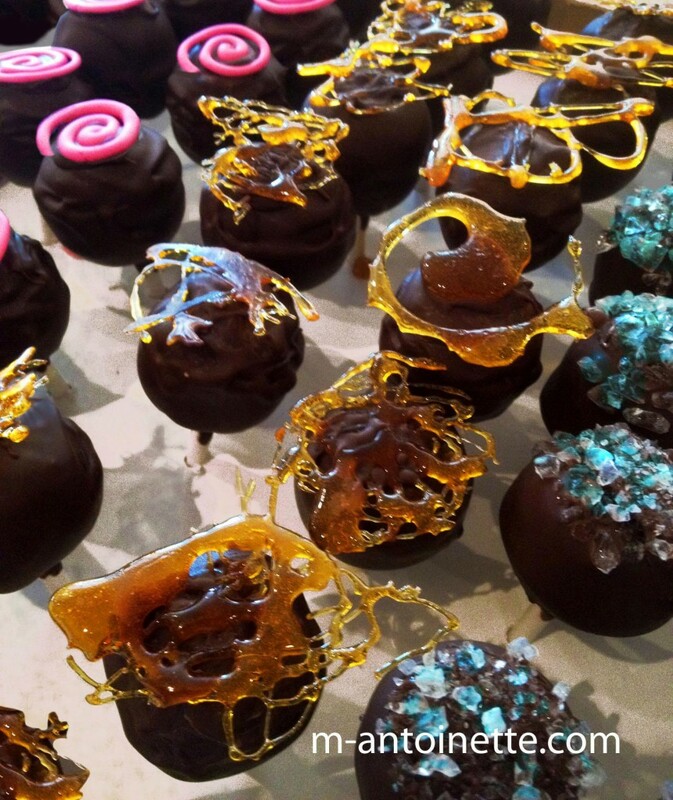 The ladies in the PR department of Neiman Marcus sent me an invite to check out the private viewing of REdeFINED SUGAR, a sugar glass exhibition by artist Chef Robert Teddy of M. Antoinette Legendary Confections. It was also a benefit for Communities in Schools Nevada. They put on a fabulous event and I was extremely impressed by the talents of Chef Teddy. I've always appreciated sugar art so it as amazing to see his 10' sugar glass chandelier installation in the middle of an intimate gallery. Check out the photo below that I took with my phone of the sugar glass chandelier as well as other photos of his work. 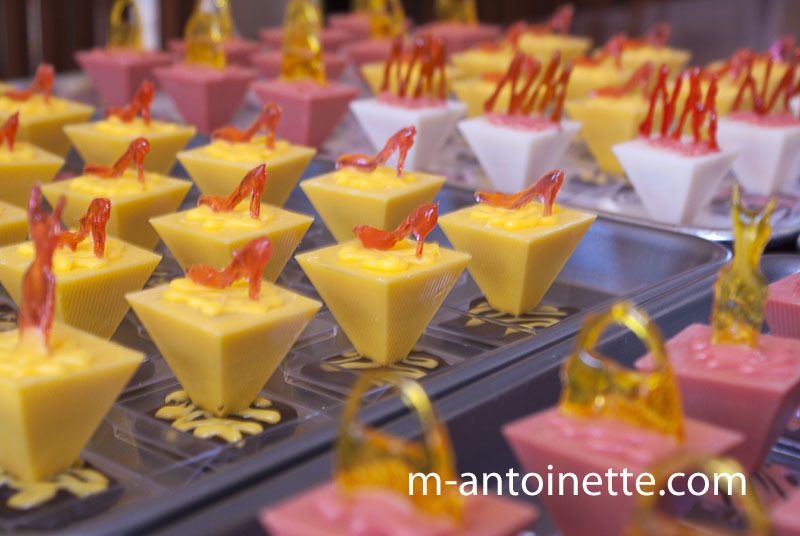 M. Antoinette is available for specialty and wedding cakes, petit fours, macarons, and so much more! Petit fours with sugar glass shoes and handbags and Neiman Marcus logos. Wow!